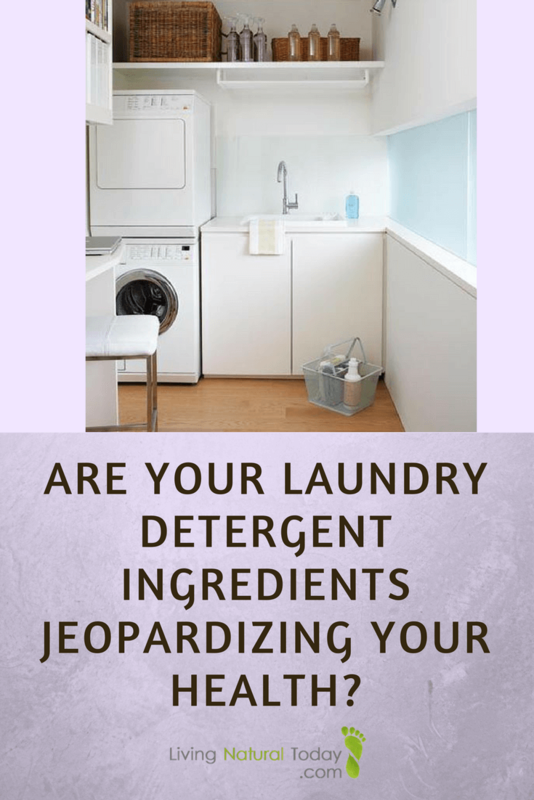 Laundry Detergent Ingredients: Are They Jeopardizing Your Health? 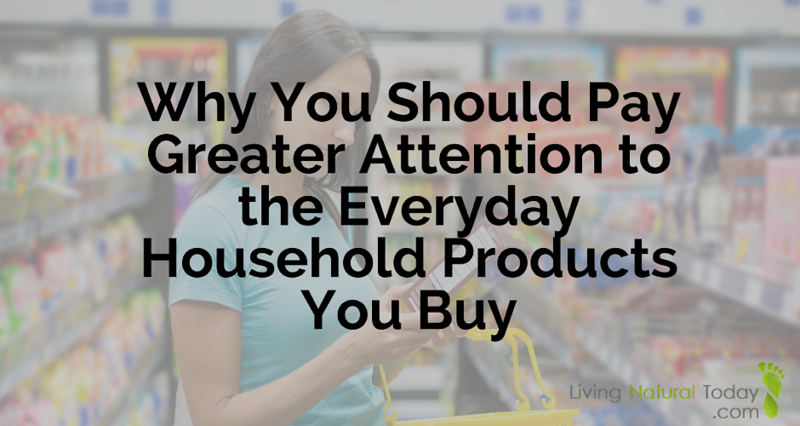 You are here: Home / Natural Living / Are Your Laundry Detergent Ingredients Jeopardizing Your Health? Are Your Laundry Detergent Ingredients Jeopardizing Your Health? If your family is like the average American family, you run approximately 7 – 10 loads of laundry each week. You wash approximately 50 pounds of laundry per week. It is also estimated that U.S. consumers as a whole wash more than 660,000,000 loads of laundry every week. Those numbers are astounding! No wonder being in the laundry detergent industry is big business! In 2016, the global laundry detergent market size was valued at $133.3 billion. According to Grand View Research, that value is expected to reach $205.2 billion by 2025. Although your favorite brand of laundry detergent may get your clothes the whitest, it may also be replete with very dangerous ingredients. However, you may never totally know what chemical soup you are using to clean your clothes because laundry product manufacturers are not required to list all of their ingredients. Isn’t that alarming! According to the FDA, products such as laundry detergent, fabric softener and dryer sheets are regulated by the Consumer Product Safety Commission. According to the EPA, manufacturers of chemical cleaning products are not required to list ingredients on their containers or make them public. It is the manufacturer’s choice to disclose their product ingredients. There have been attempts to make manufacturers disclose ingredients, but they have been unsuccessful. The Cleaning Product Right to Know Act proposed in the U.S. Congress required ingredient labeling of certain consumer cleaning products. It was reintroduced over the years, but continually died in Congress. However, in 2017 the state of California signed their own Cleaning Product Right to Know Act. The law requires that manufacturers of cleaning products sold in California disclose the existence of certain chemicals in their products. While I applaud a bill actually being passed as it relates to harmful ingredients in household products, it doesn’t goes far enough. For one thing, manufacturers have until 2020 to list ingredients on their websites and they have until 2021 to add them to their product labels. Another reason it doesn’t go far enough is that companies are still allowed to protect trade secrets and don’t have to disclose all of their ingredients if the chemicals they want hidden have not been linked to harmful effects on humans and the environment. In 2017, Procter & Gamble announced that it will share online all fragrance ingredients down to 0.01 percent for its entire product portfolio in the U.S. and Canada by the end of 2019, which includes more than 2000 fragranced products. While I am glad that P&G will start disclosing some of its fragrance ingredients and that other manufacturers such as Seventh Generation already do, there is still a long way to go. 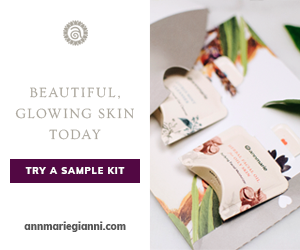 Overall, it’s one thing to begin disclosing ingredients on a website or product label, but it’s another thing to begin removing these toxic ingredients from the actual product. What Ingredients are Actually in Laundry Detergent? So what are some of the harmful ingredients which might be in laundry detergent and how can they impact our health? Currently, labels on laundry detergents contain marketing jargon and instructions for use. If they choose to disclose certain ingredients, you more than likely will encounter several ingredients you’ve never heard of – or can’t pronounce — such as “linear alkybenzene sulfonates,” “polyethyleneimine ethoylate” or “disodium distyrylbiphenyl disulfonate.” Perhaps one of the ingredients you’ll see is “perfume” or “fragrance.” Many of the chemicals used in laundry products have not been tested and have not been tested when combined with other chemicals. Just think of all of these chemical residues clinging to your clothes. Those chemicals eventually get inhaled or absorbed through your skin and travel through your body. Just take 2 of the ingredients listed, both the International Agency for Research on Cancer (IARC) and the EPA consider 1,4 Dioxane to be a probable human carcinogen. Also, phthalates are a problem chemical highlighted by the President’s Cancer Panel in their 2010 report. Accumulation of these chemicals can cause a wide range of negative symptoms. 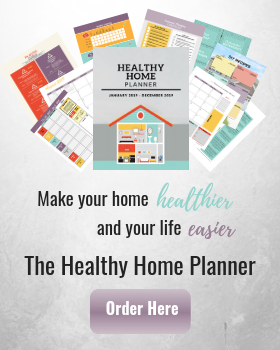 Anything from headaches, asthma and skin irritations, to vertigo, hormone disruption, liver and kidney damage and even cancer to name a few. When I was at my worst, I couldn’t go into homes which used traditional commercial laundry detergent, dryer sheets, or fabric softener. To this day, I still have to avoid the laundry aisle at a store. The accumulation of these ingredients are especially bad for those with auto immune and digestive issues. Since these ingredients are found in laundry products, we are continually being exposed to them 24/7 from our clothing. As chemicals begin to bioaccumulate in our body, our toxic bucket can fill up and create disease. 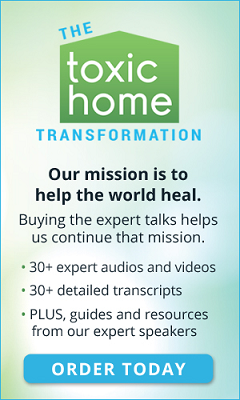 Normally, we were created to be able to detox chemicals, but with today’s chemical onslaught, that is becoming more difficult. It is especially difficult for those with impaired immune systems, or who are genetically predisposed to not be able to detox well. If you are someone who wants to ditch toxic laundry detergent, I commend you! Fortunately, there are safer options out there that you can begin using today. I am thankful for manufacturers who are making a difference and are producing non-toxic alternatives. Some manufacturers sell either non-toxic powder or liquid laundry detergent. In order to help you select a good brand, the Environmental Working Group ranks laundry products from A to F.
If you would rather make your own, here are some natural ingredients which will help. Whether you make laundry detergent yourself, or purchase a non-toxic brand, it’s best to ditch your toxic laundry detergent and begin making the switch today. You and your family will be much better off without the toxic chemical soup. After you ditch your harmful laundry detergent, let me know in the comments below if you notice a difference in your health. Are you able to breath better? Does your skin get less irritation? Are your constant headaches going away? I would love to hear your stories! I am so glad we got rid of all the smelly-good but toxic laundry crap years ago. I thought I would miss the scents of flowery fields or tropical paradises, but I don’t at all. I prefer the smell of laundry washed without scents (and I know it’s better for my family and me, too!). Plain ol’ white vinegar is my fabric softener of choice, and wool dryer balls instead of dryer sheets! Glad to hear you ditched the harmful chemicals! That’s what I use for fabric softener and my dryer too. Thanks for stopping by! I wish everyone knew this information! Thank goodness education and awareness is spreading – the first step towards significant change! You and me both! Thanks for sharing information like this with others on your blog. Thanks for stopping by. Thanks for this very insightful, well-researched article. I will read it again and again. We use ‘alternatives’ for most cleaning products but have had difficulty finding a good ‘non-toxic’ laundry detergent. I will continue my search and will try Seventh Generation again.. Here’s to your continued healing and increasingly vibrant health! Thanks for stopping by! 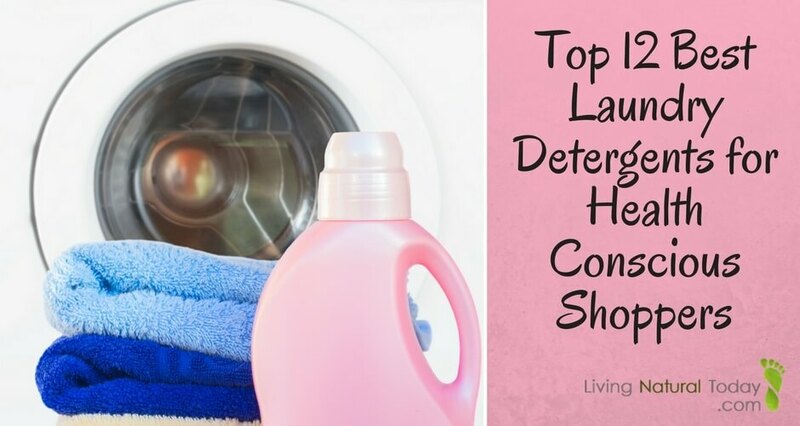 Here’s an article I put together for the best natural laundry detergents: https://www.livingnaturaltoday.com/2018/01/best-laundry-detergent/. Seventh Generation is a good brand, but it depends on which one of their products you buy. Some aren’t as good as others. 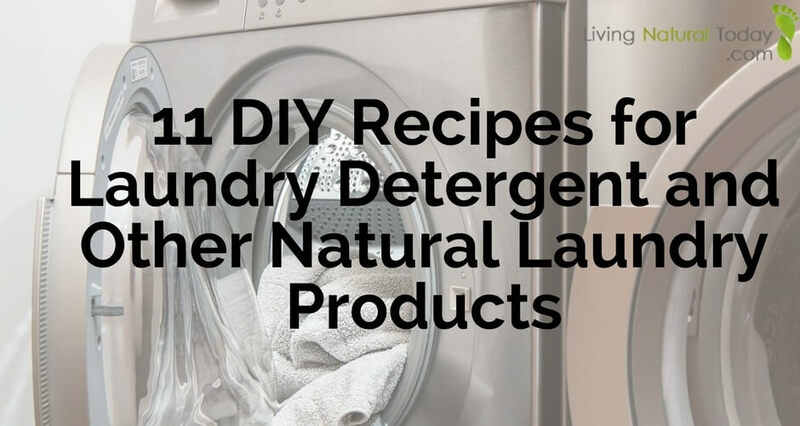 Also, if you would like to make your own, here’s a DIY article: https://www.livingnaturaltoday.com/2018/01/diy-laundry-detergent/. Wishing you vibrant health too! This is such an interesting article as many of us don’t consider the chemicals we are exposed to from the clothing we wear based on what we wash them in…thank you for this information! Thanks for stopping by. I never use to realize how many chemicals were in all of the clothing products I used until I got so sick. All of the chemicals add up in our body. This is so helpful, thank you. To think: someone could have migraines for years and not know that this was the source! Thanks for stopping by! Whenever I hear that someone gets frequent headaches which doctors can’t figure out, I always recommend they look at the chemicals in the products they’re using. Yikes! So many harmful ingredients! Why can’t these companies just keep it simple and clean! I so wish that was the case – keeping it simple and clean. Fortunately, some manufacturers are starting to do that and provide better alternatives to the chemical soup in conventional laundry detergents. Thanks for stopping by. Yes, it’s easy to make your detergent. I wish everyone would:)! Thanks for stopping by. This is a great post to raise awareness about the dangers in detergents. I like to go through the EWG guide for cleaning products we use in our homes. Each time I end up being amazed by what we as consumers have been using for so many years without questioning the ingredients that manufacturers put in their products. There are many great natural alternatives available today and we can also make some of our own products that often work surprisingly well. Thanks for putting together the information in this post. Thanks for stopping by. Yes, the EWG is a great resource. I agree with you – I wish people would question the ingredients in their laundry detergent. We would all be much better off!